Are you among the countless people who have wondered if acupuncture could help with their pains and aches? This Traditional Chinese Medicine (TCM) technique is famous around the world for its use of needles. It works along the principle of realigning a person’s damaged “Qi” or life force, by influencing various meridian points located around the body. Our Hermosa Beach center is a place where you can get quality acupuncture treatment that leaves you free of aches and pains, as well as safe from a variety of health problems. Its benefits are undeniable, especially if you know someone who has used it to overcome medical issues like digestive problems, depression, knee pain, allergies, neck pain, osteoarthritis, chronic back pain, headaches and migraines, and of course, muscle pain. We make sure you achieve tangible wellness as rapidly as possible and get started with a lifestyle where this is the norm. On visiting our Hermosa Beach center for the first time, you would need to provide us with your medical history, because this conclusively tells us what techniques we cannot use in your treatment. Then comes a physical examination where we gauge your physical attributes, such as skin tone, posture, and body type. After this, we ask you questions about your sleep, digestion, diet, sensory function, pain, etc. Our holistic approach requires us to ensure no detail gets left out because as they say, everything is connected. This also helps us tell you what lifestyle changes are in order. All that information lets us derive an effective treatment strategy, as well as a convenient schedule based on your situation. 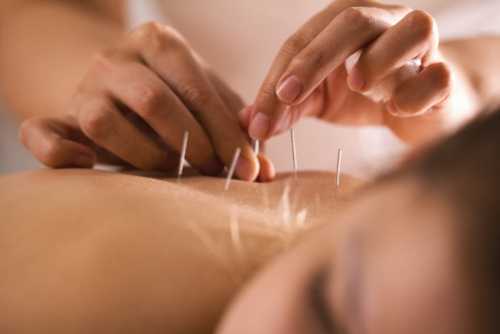 As soon as our acupuncturist and you are on the same page, you can get started with the sessions. He or she would work towards the goal of ridding your body of its Qi imbalance by properly manipulating specific meridian points. Meanwhile, we keep you as comfortable as possible and hold an eager ear for any suggestions you give us. The way we see it, you have the say on how we treat your body and mind. Most patients tend to relax and enjoy the acupuncture experience after their first session. If you happen to find the use of needles unsuitable, we offer alternative acupuncture techniques as well. You can choose from among moxibustion, frequency approaches, and polarity devices, to name a few. Whichever way you choose to go, our staff would be willing and ready to guide you.